Can craft and design coexist in southeast Asia? For the longest time, craftsmanship in Asia has been answering to the needs of the everyday. From farming tools to clothing, religious rituals and family celebrations, furniture, housing and shelter—all of its elements were nicely embedded in life as folk art. The transition to “modern life” induced by urbanisation, industrial development, modern design, technology and the global economy, has profoundly altered the ways in which craftsmanship is lived and experienced. In Southeast Asia, this transformation is also affecting perceptions of cultural and environmental values. Craft Reveals: New paths towards sustainability was an international conference on traditional handicrafts and sustainable design. The process of selecting different speakers involved mapping out the various links between crafts, design production and consumption. The event was an opportunity to unfold new perspectives about the consequences of “making” on “living”. There is a fundamental question around the different characteristics of Asian craftsmanship and modern design. The first, originally based on natural resources and slow-paced, answers to local and most often rural demand. The latter depending on faster and mainly mechanised production, fits in an urban context. What are the possibilities for Asian craft and modern design to coexist? 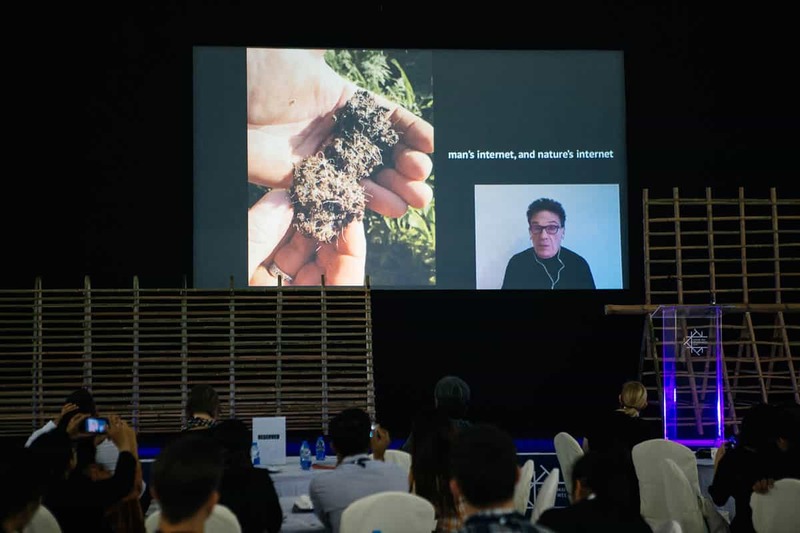 The writer John Thackara set the opening tone of the conference with a keynote presentation highlighting the unbalanced system of relationships established by the global economy and the environmental consequences generated by human production and consumption. He asked the audience to reconsider “the ways we organise relationships, the necessity to reconnect the urban and the rural, the creation of value for both the human and the natural world.” His presentation prompted the audience to question value systems and reflected on the possibilities for meaningful and sustainable consumption mechanisms. Over decades, the craft industry in Asia has evolved from small informal networks to more structured business models involving design. From export manufacturers to tourism markets, social entrepreneurship and ethical trade, the sector gathers a wide range of individuals and groups. While modern design turned into a great opportunity for craft revitalisation in Southeast Asia, it also remains a threat due to a persisting economic hierarchy that hinders the creative development of small craft practitioners and business owners. I seek to highlight and rethink craft cultures in a global context through mutual respect, stable transition and sustainable mechanisms. The following are three stories from the conference. As part of his PhD research, Thai designer and weaver Wuthigrai Siriphon went to immerse himself within a weaving community to experience the tacit knowledge of local weavers first hand. He felt a fundamental need to re-think the relationship between the designer and the weaver: “a designer can collaborate with a weaver only if he/she knows how to weave”. According to him, weavers have a lot to teach to designers about their methodologies and their way of designing. He argues that designers should not feel “superior” to the weavers, but rather listen to them in order to fully understand the possibilities within the culture and its re-interpretation. To him, that would be the only way in which designers and artisans can collaborate successfully. His unusual approach poses the question of whether the informal methodologies used by artisans can become elements in design education. In Thailand and neighbouring countries, where tacit knowledge is passed on from generation to generation, the possibility of a craft-based education model remains to be more seriously tested. 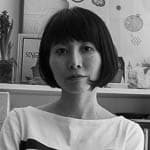 Design education in Asia is based on Western methodologies, rather than viewed through local contexts. Wuthigrai’s research can be considered as a step toward a different direction, a new form of experiential learning. Across the border from Thailand, some of the world’s rarest materials and products originate from communities in close proximity to unique natural environments. Hemp has been grown and processed for a very long time by Hmong communities in different countries of Asia. 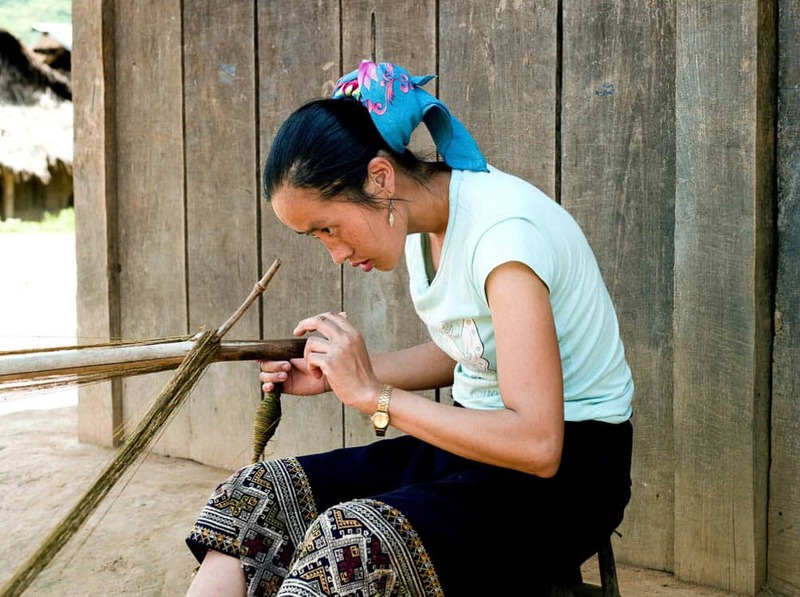 While residing in Laos, British photographer Tessa Bunney ventured into Phongsali province, in the north of the country, and started documenting the lives of Hmong villagers, to witness the growing economic challenges and the lack of practical support toward sustaining their way of life and culture. Today, the practice is on the brink of extinction as the last skilled artisans in this trade are elderly women. Large-scale developments such as hydroelectric dams are displacing communities and transforming their local way of life, from nature to industry, rural to urban. Tessa’s stories are about a rapid transition to modern life as reflected in the details of everyday life such as the clothing worn by locals. Costumes made in Chinese factories with synthetic materials are proudly worn by the younger generations of Hmong women. When the cultural relationship between a local craft and the consumer is broken as such, the demand for unique skills decreases and the authenticity of the intangible asset is at its most vulnerable. The survival of an endangered practice depends on the creative capacity and awareness of local youths to value and re-make their ancestors’ cultural heritage. 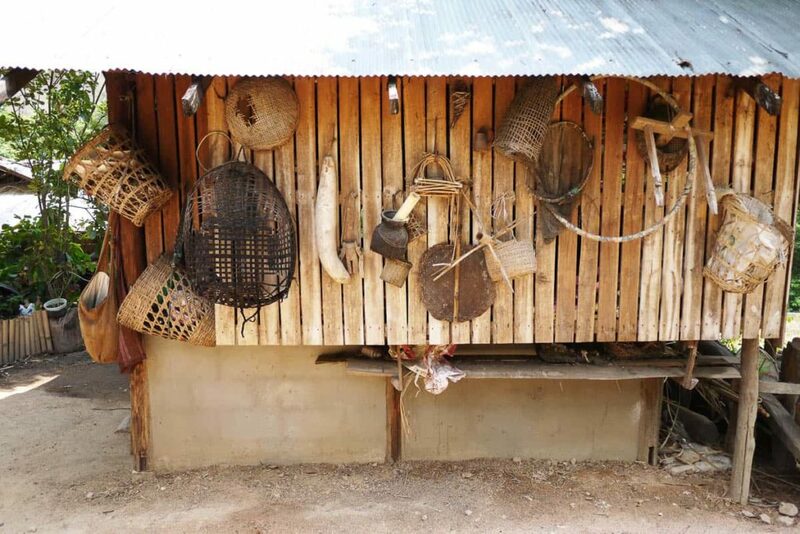 In transitioning contexts of Southeast Asia, some fragile craft cultures may survive, but others are likely to disappear as part of an industrialisation and urbanisation process in rural areas. While natural environments seem to change more rapidly than ever, a sound educational infrastructure to prepare the next generation is too often lacking. About 4000 km from Laos, there is an inverse story from Japan where an urbanite decides to settle in the countryside. Design Professor Fumikazu Masuda worked for decades in central Tokyo in an office surrounded by a concrete jungle of other office buildings, railroads and highways. 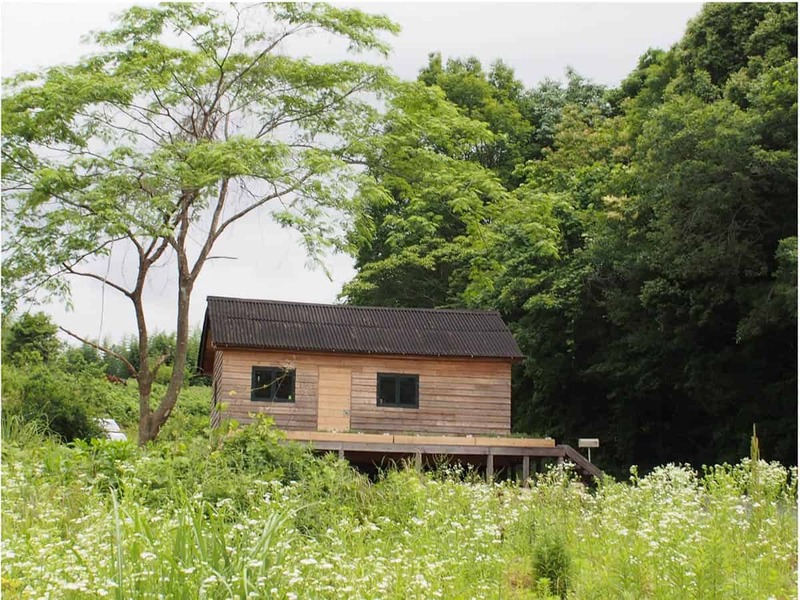 Then, a couple of years ago, he moved his office to a remote area in the south of the country, Yamaguchi, to start life off the grid, surrounded by nature. At the start of his conference address, he warned the Thai audience to not make the same mistake that Japan made several decades ago—the loss of local resources. Japan is globally known for its master craftspersons and traditions coexisting with high technology and innovation. But whether traditional or modern, most of Japanese products are made of imported materials. “Is craft sustainable if the materials are imported?” he asked. The sharing of resources that our planet has to offer was a key point in this presentation. As people make and produce things, materials have become easier to acquire, but the global supply chain has also broken the natural relationship between people and their local resources. In Japan, a radical change is not yet likely, but a lifestyle that promotes a “different way” is a possibility. Professor Masuda calls it ‘SLOC’: small, local, open, connected. As Japan seems to have far exceeded the reasonable limits of its industrial development, many are now realising that less is actually more. The term development then takes on a whole new meaning: it focuses on sustainable modes of living through which a better sharing of space and resources can be achieved. In the process of re-thinking global supply-chains, craft and design practices need to be re-invented through new sustainable frameworks. It is a lesson to consider for all countries of Asia because, in John Thackara’s words, “we are all emerging economies now.” Whether it is Southeast Asia or Japan, the very same issues of environmental sustainability linked to production and consumption are at stake. In the manner of a storyteller, Edric Ong from Sarawak (Malaysia) closed the conference by reminding us about how it all begins: craft starts with a community and its local culture. The cultural depth of craftsmanship comes with its original place, its original meaning, its original function or purpose, its original materials and the informal ways through which it lives have much to teach to the global creative community. The value of craftsmanship resides primarily in the honesty of its initial form and function, imbued with a distinctive flavour and expressing the unique. The blinding effects of economic development in Southeast Asia should not take over the lucidity that is necessary to achieve a balanced coexistence between craft and design. There is a need to sustain a vision based on socially responsible behaviour and respectful consideration toward the diversity of world cultures and related environments. Only then, collaborative efforts between artisans and designers will be able to make and re-make cultures with maturity and fairness.